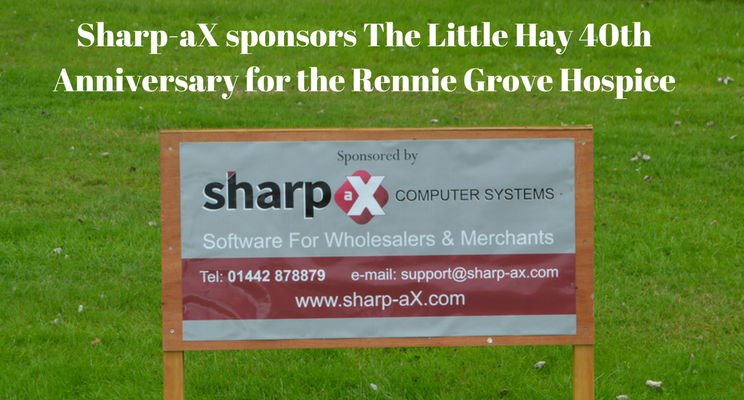 Sharp-aX Limited was delighted to be able to be a sponsor for The Little Hay Golf Club’s 40th anniversary. All profits raised on the day were donated to Rennie Grove Hospice. Rennie Grove Hospice Care is a charity providing care and support for patients in Hertfordshire and Buckinghamshire diagnosed with life-limiting illnesses. Through their unique ‘24/7 responsive hospice at home service’ and a range of day services they make it possible for patients to choose how and where they want to be cared for towards the end of lives.